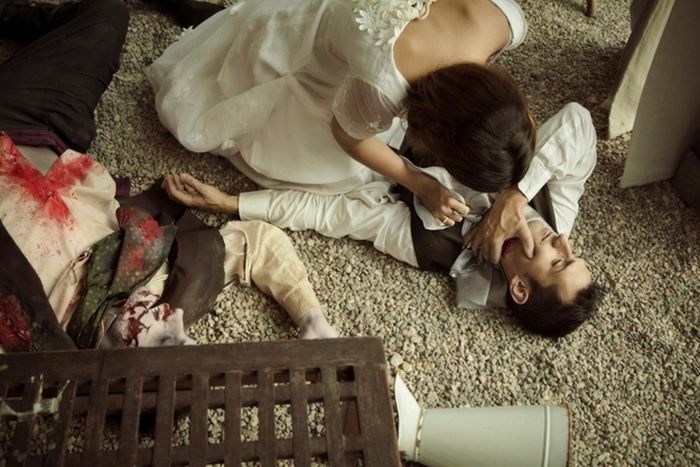 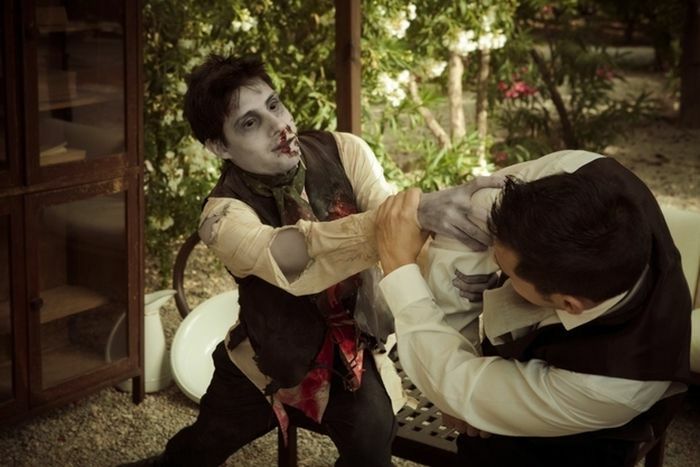 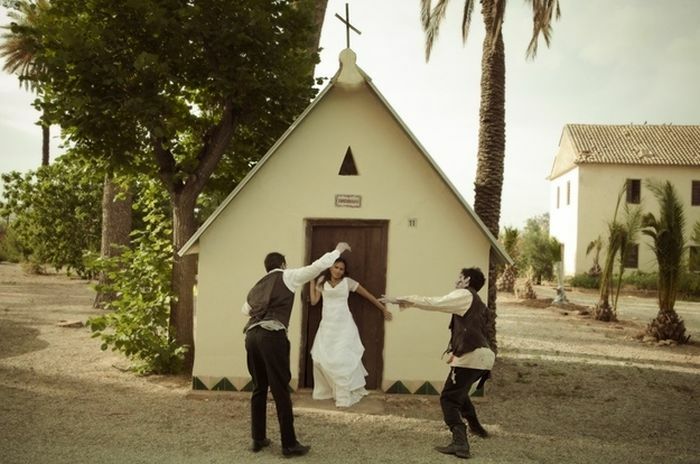 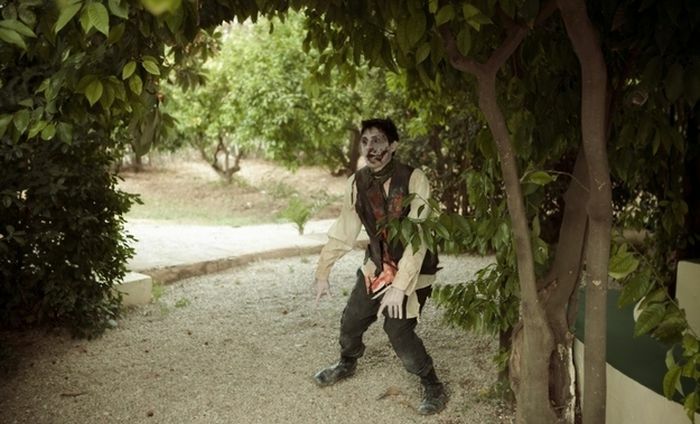 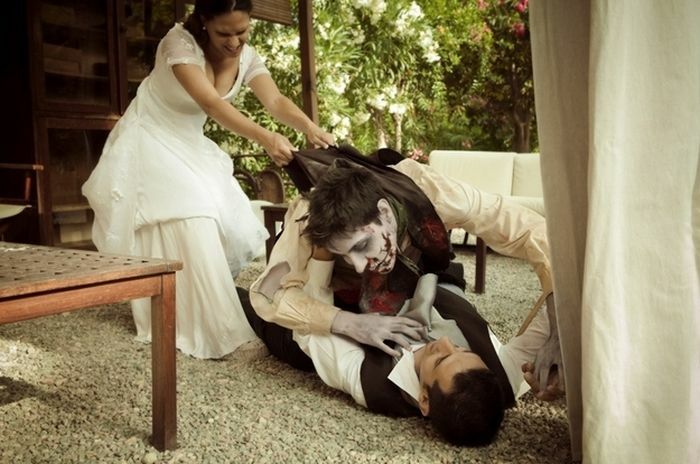 Zombie weddings are a popular trend lately. 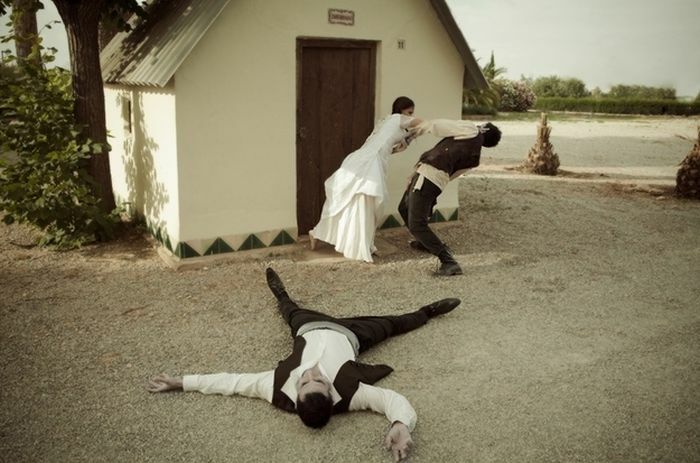 Here are photos by Adolfo Lopez from Bea and Alex's wedding shoot. 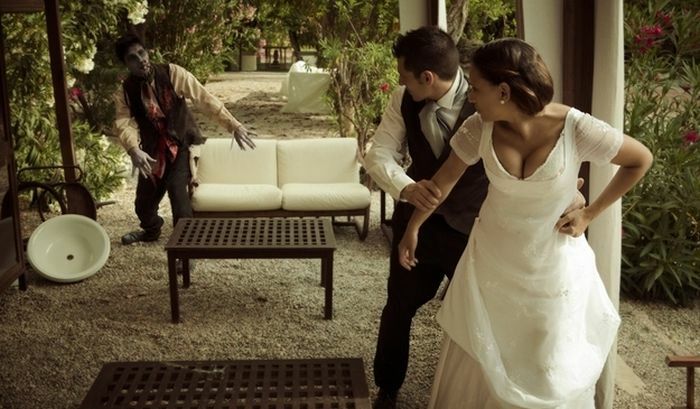 Weird trend, to say the least. 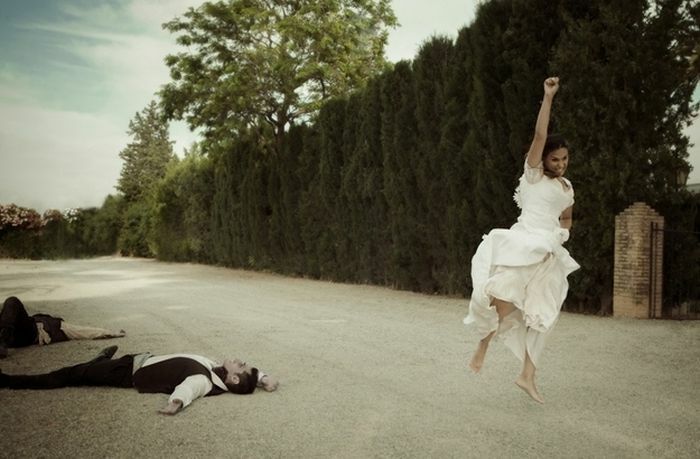 That was a short lived marriage.